This clinical investigation that was published in The Journal of the American Medical Association (JAMA) on June 18, 2014, was a collaboration of efforts from PubMed, the Cochrane Library, EMBASE, EBSCO, Web of Science, and CINAHL since its inception from April 10, 2014. The goal of the study was to perform a systematic review of the literature and determine prespecified inclusion criteria based on relevant studies, which are as follows: randomized controlled design in patients with Pulmonary Embolism (PE) evaluating thrombolytic therapy as an intervention; a comparator group that included any of the following agents: low-molecular-weight heparin (LMWH), vitamin K antagonist, fondaparinux, or unfractionated heparin; and reporting of mortality outcomes. Trials that were compared with different thrombolytic agents against one another or different doses of the same thrombolytic drug were not included. Pulmonary embolism (PE) is an important cause of morbidity and mortality with more than 100,000 US cases annually and as many as 25% of patients presenting with sudden death. Pulmonary embolism is associated with increased mortality rates for up to 3 months after the index PE event. Multiple studies and meta-analyses have evaluated the role of thrombolytic therapy in PE with largely discordant results. Several recent trials have evaluated the role of thrombolytics in PE for the patients without definitive results, particularly for the end-point of mortality. Thus, this clinical investigation performed a meta-analysis of all randomized trials of thrombolytic therapy in PE. It aimed to ascertain associations of thrombolytic therapy with bleeding risk and potential mortality benefits, with special attention paid to the subpopulation of patients presenting with intermediate-risk PE. 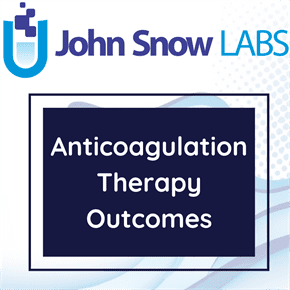 Eligible studies were randomized clinical trials comparing thrombolytic therapy vs anticoagulant therapy in pulmonary embolism patients. Sixteen trials comprising 2115 individuals were identified. Eight trials comprising 1775 patients specified inclusion of patients with intermediate-risk pulmonary embolism. The primary outcomes were all-cause mortality and major bleeding. Secondary outcomes were risk of recurrent embolism and intracranial hemorrhage (ICH). Peto odds ratio (OR) estimates and associated 95% CIs were calculated using a fixed-effects model. The primary efficacy outcome was all-cause mortality and the primary safety outcome was major bleeding. Secondary efficacy and safety outcomes were risk of a recurrent PE and ICH, respectively. Definitions of major bleeding were according to definitions in the individual trials with ICH included as a major bleeding end-point in any trial that did not prespecify this. The mortality and major bleeding outcomes were evaluated in the 8 studies that specified therapy for hemodynamically stable PE. In addition, a prespecified analysis was planned to evaluate the primary outcomes for trials published after 2009 (to evaluate the most updated randomized evidence). A priori, another planned exploratory analysis involved the outcomes in patients older than 65 years (trials where the mean age of participants in the thrombolytic group was >65 years), as worse outcomes with thrombolytics in elderly patients have been suggested by a recent large randomized trial of the issue.